Prepare with Three Rivers Community College’s SHRM-CP and SHRM-SCP Certification Exam Preparation Course. Establish yourself as a globally-recognized human resource expert by earning the new standard in HR certification: SHRM Certified Professional (SHRM-CP™) and SHRM Senior Certified Professional (SHRM-SCP™). Ensure you’re prepared with Three Rivers Community College’s SHRM-CP and SHRM-SCP Certification Exam Preparation Course, designed for SHRM credential candidates. Expand and test your knowledge and practical, real-life competencies in areas critical for HR career success. This intensive thirteen-week program combines expert instruction with the SHRM Learning System® for SHRM-CP/SHRM-SCP, so you will learn faster, retain more knowledge and stay on track for success on the exam. 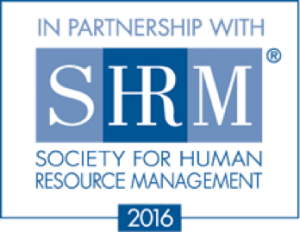 Our course is based on the NEW 2016 SHRM Learning System® for SHRM-CP/SHRM-SCP. Comprised of comprehensive learning modules teaching the SHRM Body of Competency and Knowledge™ (SHRM BoCK™), and advanced online multimedia resources, these study materials streamline study time, accelerate learning and build confidence for passing the SHRM-CP/SHRM-SCP exam.